I said I could do casual…and swore I’d never fall in love. I know all about her type. Marcella’s hot as hell and just as intriguing. I live in a swanky Vegas penthouse on top of my equally posh boutique casino. 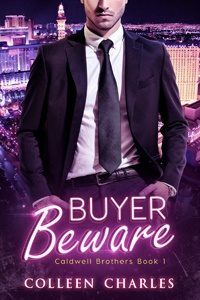 She’s lived in a dilapidated seventies trailer far too long to have patience for billionaire playboys like me that can just snap their fingers and have women fall at their feet, begging to be dominated. She stands for everything I despise. Which is why my obsession with her makes zero sense. She’s innocence incarnate…I’m the guy who steals it. I can have anything I want, whenever I want it. Marcella Castillo needs to be taught a lesson. She thinks she’s not the kind of girl I can buy and sell. She’s wrong. But somewhere along the line, the boundaries blur. In my heart, I feel a newfound tenderness and vulnerability that I’ve never known. This woman pulls at my heart strings until my solid walls come tumbling down and I let her in. And I’m happy. The happiest I’ve ever been since my dad took himself six feet under leaving me with four younger brothers to raise. Until a vicious sociopath and a haunting secret from Marcella’s past threatens to destroy every single thing I’ve just sold my soul to possess. Mary Brown was the wallflower of her high school graduating class. She is a shy young woman who eventually enrolls in a charm school and moves to Las Vegas in the 1970s. Mary becomes a skilled blackjack player, a fierce high stakes poker player, and an accomplished slot hustler. To her close friends, she’s the Queen of Chance because she’s in a class by herself. From the opening pages, the young woman from Indiana will delight you with her zest for life, never looking back as she climbs the ladder of success in the city of a thousand broken dreams. 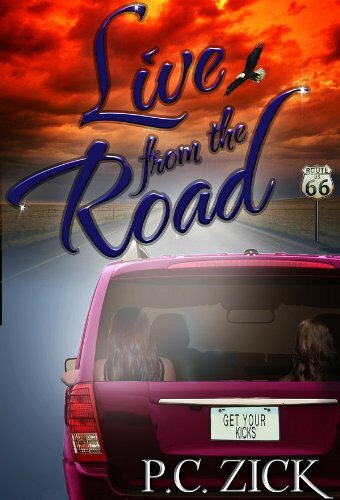 Whimsy and desperation meet up on Route 66 in the road trip for a lifetime along the Mother Road. 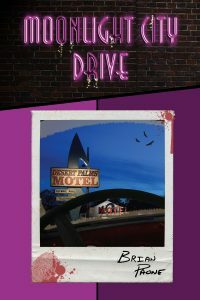 Drive Route 66 with four women seeking adventure on the road. Live from the Road takes the reader on an often humorous, yet harrowing, journey as Meg Newton and Sally Sutton seek a change in the mundane routine of their lives. Joined by their daughters, they set off on a journey of salvation enhanced by the glories of the Mother Road. Illinois, a Marine from Missouri, a gun-toting momma from Oklahoma, and a motel clerk from New Mexico. Death, divorce, and deception help to reveal the inner journey taking place under the blazing desert sun as a Route 66 motel owner reads the Bhagavad-Gita and an eagle provides the sign they’ve all been seeking. Enlightenment comes tiptoeing in at dawn in a Tucumcari laundromat, while singing karaoke at a bar in Gallup, New Mexico, and during dinner at the Roadkill Cafe in Seligman, Arizona. The trip isn’t always easy as laughter turns to tears and back again. However, the four women’s lives will never be the same after the road leads them to their hearts – the true destination for these road warriors. Drive Route 66 with four women seeking adventure on the road. The adventure turns into enlightenment on Route 66 USA that is often humorous, painful, and rewarding.